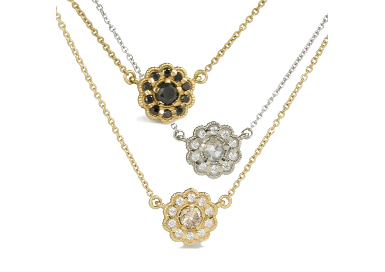 The pendants are 18kt gold and range in diamond weight from 0.40ct to 0.50ct. Available in yellow, white and rose gold. Have questions about these necklaces or want to see it in our store?